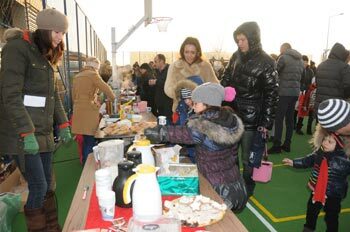 Friends of King’s Oak are an active group of parent volunteers whose mission is to work together to support the school community, through organising fun activities for the children and parents of King’s Oak. To work with the school community to organise events for the benefit of the pupils at King’s Oak . To raise funds to support future events and/or the school. To create a network for all parents to help increase the overall involvement at King’s Oak. Coordinator – ensures the smooth and efficient running of the Friends of King’s Oak. Communicator – ensures that the school and King’s Oak parents are aware of what the Friends of King’s Oak is doing. Treasurer – takes care of all the financial aspects of the Friends of King’s Oak.